The spoon handle design of the Kershaw Pro Grade 8.5 Inch Spoon Handle Knife 1288SH allows you to scale, clean, and fillet fish with a single knife. The lightweight, ergonomic design reduces hand fatigue, allowing you to quickly process the catch of the day. The 8.5 inch blade is constructed of 420J2 brushed stainless steel, and the handle is slip resistant polyprolene. 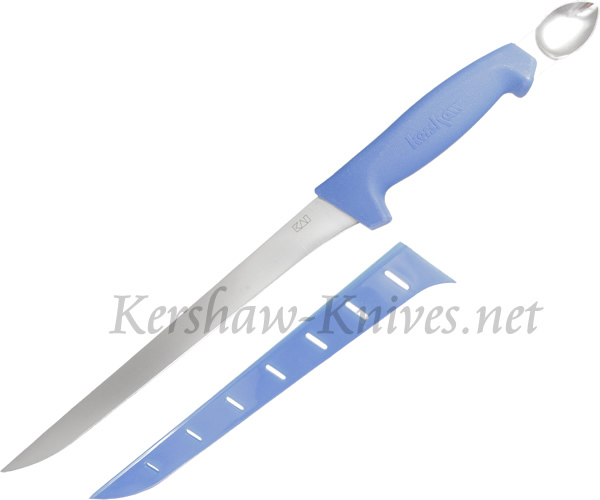 A vented blade cover is included with the Kershaw Pro Grade 8.5 Inch Spoon Handle Knife 1288SH.